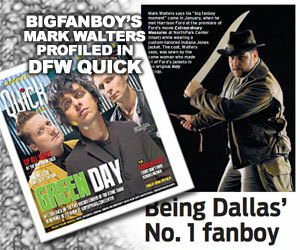 On Saturday, February 8, thousands of DFW fans of pop culture and sci-fi attended the Sci-Fi Expo at the Irving Convention Center. 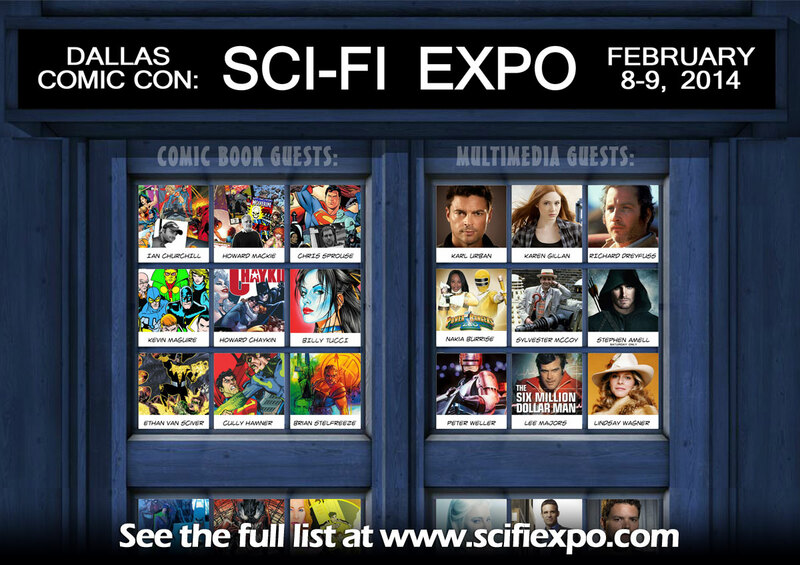 Hosted by the same men behind the Dallas Comic Con, the Sci-Fi Expo features a wide variety of actors from popular movies and TV shows, along with an impressive list of comic book creators. Promising a fun-filled and family environment, this show is a chance for passionate fanboys and fangirls to meet their heroes in a two-day festival featuring Q&A panels all weekend. But the fun continues tomorrow, and the majority of guests are back to meet the adoring fans. 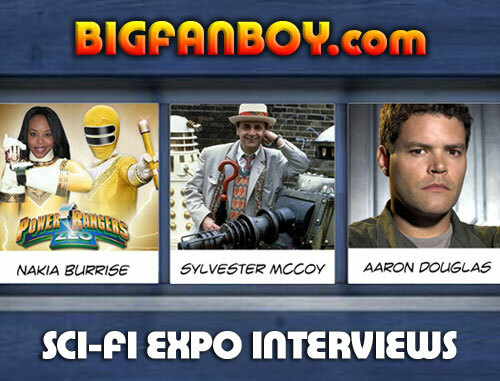 Check out a few interviews we did with some of the special guests of the show, including Aaron Douglas of BATTLESTAR GALACTICA fame, Nakia Burisse of MIGHTY MORPHIN POWER RANGERS fame, and the 7th DOCTOR WHO star Sylvester McCoy… all three attending on Sunday. Bigfanboy.com is also set up on the third floor giving away tons of movie-related freebies to fans both days of the show. Check out the full press release below, and visit SciFiExpo.com for a full guest list and complete information. The show runs Saturday 11am to 7pm, and Sunday 11am to 5pm. .Oscar-winning actor Richard Dreyfuss tops a long list of actors and artists appearing at Dallas Comic Con’s Sci-Fi Expo on Feb. 8 & 9 at the Irving Convention Center. The star of such well-known films as The Goodbye Girl, American Graffiti, Jaws, Close Encounters of the Third Kind and Mr. Holland’s Opus talked about his long-running career during a Q&A panel on Saturday. They include Karl Urban, who portrayed “Dr. Leonard ‘Bones’ McCoy” in J.J. Abrams’ Star Trek and Star Trek Into Darkness. Fans of the long-running British TV series Doctor Who can meet Sylvester McCoy, the seventh doctor in the series who also starred in the 1996 Doctor Who television movie. The Sci-Fi Expo also will feature the pairing of The Six Million Dollar Man’s Lee Majors and The Bionic Woman’s Lindsay Wagner. Mr. Majors recently starred in the new Dallas TV series, and Ms. Wagner appeared in the popular TV show Warehouse 13 along with Expo guests Eddie McClintock, Allison Scagliotti, Jaime Murray and Saul Rubinek. Actor Peter Weller returns to Dallas for the Expo along with Angie Bolling, his co-star in Robocop, which was filmed in Dallas. The line-up also includes Tony Curran from Defiance; voiceover actor Vic Mignogna (Pokemon, Wolverine, Dragon Ball Z), Peter Mayhew (“Chewbacca” in the Star Wars franchise); Aaron Douglas from the new Battlestar Galactica; Anne Lockhart (Lost in Space) and Yellow Power Ranger Nakia Burisse. The actors will sign autographs, meet fans and answer questions during special panels, as well as pose with fans during professional photo sessions. All actors are scheduled to appear both days except Mr. Amell and Ms. Gillan, who appear Saturday only. The Expo’s artist alley will feature some of the comic industry’s top creators, including a rare U.S. appearance by Eisner-nominated artist Ian Churchill. His work includes Coven, Supergirl, Uncanny X-Men and his creator-owned comic Marineman. 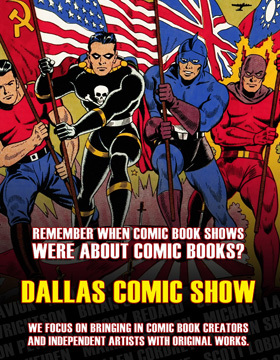 Also appearing are Chris Sprouse, co-creator of Tom Strong; the legendary Howard Chaykin, artist of Star Wars, Blackhawk, and The Shadow, and frequent writer and executive script consultant for The Flash TV series. Also, Eisner winner Kevin Maguire, artist of Justice League, Batman Confidential and Guardians of the Galaxy; Eisner Award-winning creator and fellow Texan Terry Moore, known for his books Strangers in Paradise and Rachel Rising; and more than a dozen additional artists. Other events include special effects make-up workshops, a Cosplay Red Carpet, and hundreds of vendors and exhibitors. The Irving Convention Center is at 500 W. Las Colinas Blvd., in Irving, Texas. Show hours are 11 a.m. to 7 p.m. Saturday, and 11 a.m. to 5 p.m. Sunday. The box office opens two hours prior to show time on Saturday and one hour prior on Sunday. Tickets are $25 Sunday. Children’s tickets for ages 5 to 12 are $5, and ages 4 and under are free. All children must be accompanied by an adult. Parking is $5, with shuttles provided for extended lots. For more information, please visit www.scifiexpo.com.